Arthur Birling is a man with some reputation in the town. He is the owner of Birling and Co., a factory business which employs several girls to work on (presumably sewing) machines. He believes that his worker's pay is reasonable and states that he pays the normal wage for his industry, oblivious to the fact that his actions will have consequences. Birling is a Magistrate and he was Lord Mayor of Brumley two years ago. Arthur is the husband of Sybil Birling (Mrs Birling) and father of Sheila and Eric Birling. J. B. Priestley describes him as a "heavy-looking man" in his mid-fifties, with easy manners but "rather provincial in his speech. "He describes himself as a "hard-headed practical man of business," and he is firmly capitalist, and right-wing in his political views. He has no concept of value other than wealth or social status, he himself is a social climber. He believes that he and his wife uphold right values. Being co-founder of a Socialist Party, Priestley felt strongly about his political views in favour of socialism and these views are displayed prominently throughout An Inspector Calls. Priestly used the character of Mr Birling to represent how the upper class frowned upon people below them in society. Important: To easily understand Priestley's message and intention, see 'Inspector Calls Context + Political Views'. Want to add something to this page? Extra notes? Add to OxNotes. 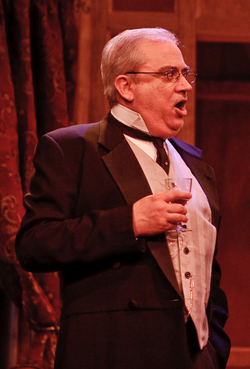 Mr Birling has not changed by the end of the play – he refuses to learn/take on board the Inspector’s lesson. As a result, the play ends with another phone call and the announcement of a second visit – perhaps from a ‘real’ Inspector. Priestley may be warning his audience of the dangers of not learning the lesson (of social responsibility) themselves. Many of these quotes highlight that Arthur Birling is selfish. "Capitalist view" refers to authorial intention, Priestly wished to portray Capitalism as selfish/evil. Please note that page numbers may vary by edition. Pg 13: Defense 'I'm not defending him. But you must understand that a lot of young men-' justifying Gerald's behaviour as acceptable. ​Want to add something to this page? Extra notes? Add to OxNotes.